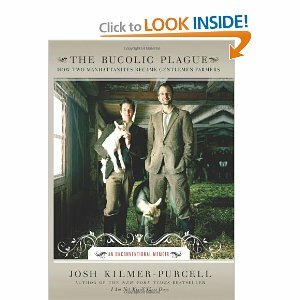 Suddenly, Josh—a full-time New Yorker with a successful advertising career—and Brent are weekend farmers, surrounded by nature's bounty and an eclectic cast: roosters who double as a wedding cover band; Bubby, the bionic cat; and a herd of eighty-eight goats, courtesy of their new caretaker, Farmer John. And soon, a fledgling business, born of a gift of handmade goat-milk soap, blossoms into a brand, Beekman 1802. On the morning of Dec. 12, 2008 residents of the Northeast United States woke up to a devastated landscape and a terrible beauty. Over the night an inch of ice had fallen throughout a wide area that included Maine, New Hampshire, Vermont, Massachusetts and Upstate New York. Much of the area was pushed pack into the 19th century as electricity and phones failed and water pumps and televisions stopped working. Tens of thousands of trees and utility lines blocked highways creating damage that took months to repair. In New Hampshire alone there was $75 million in damage to the electrical system. But the ice storm turned into an opportunity for neighbors to help each other out. Perfect strangers were welcomed into neighbors' homes and the ice-coated landscape became a photographer's paradise. 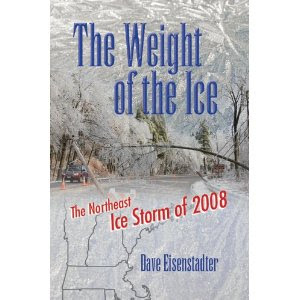 This book, written by a reporter who covered the storm for months, captures every aspect of this unique storm. With 109 photos. The Summer Reading Program is starting! The NHSPCA will bring a furry friend for you to meet and pet; Bruce Pierce from the local Food Bank will be there as well. They are our special guests because for every hour the children read, an item will be donated to either the NHSPCA or the Food Bank. 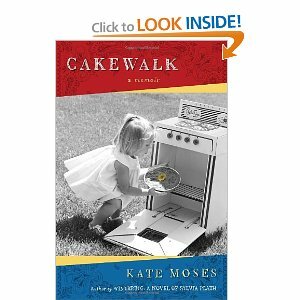 There will be cake, courtesy of That's Very Fun and an opportunity to sign up for the summer reading program. You WANT to sign up because the prizes include passes to the Topsfield Fair, Water Country and Canobie Lake Park! Our guests this summer will include the Blue Ocean Society, author Jennifer Ericsson, musician Steve Blunt, Olympian Scotty Lago and magician Peter Boie! Join us at 3:30, Thursday, July 1st in the meeting room to find out more. 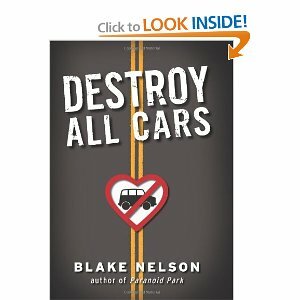 A teenage boy’s self-reinvention gets out of control in a sharp, funny, poignant, and compulsively readable novel that gives a familiar theme a surprising twist.James was the guy no one noticed — just another fifteen-year-old in a small town. So when he gets into an academy for gifted students, he decides to leave his boring past behind. In a boarding school full of nerds and geeks, being cool is easy. All it takes is a few harmless pranks to invent a new James: fighter, rebel, punk. Everyone’s impressed, except for the beautiful "Ice Queen" Ellie Frost and the mysterious ghost44, an IM presence who sees through his new identity. 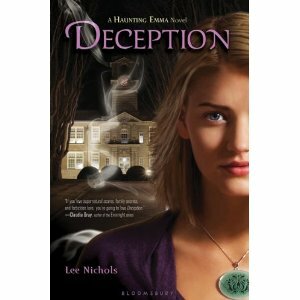 But James is riding high, playing pranks and hooking up with luscious Jessica Keen. There’s just one thing awry: he’s starting to have vivid dreams of being a demon-hunting warrior, a thrill that is spilling over into dangerous and self-destructive acts while he’s awake. As he’s drawn deeper into his real-life lies and his dream-world conquests, James begins to wonder: What’s the price for being the coolest guy around? Everything is going to be fine . . . .
Quinn Avery can handle change. It's just paint, right? Bright, blinding white paint covering her once dazzling red bedroom walls. 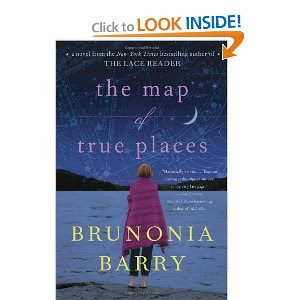 Quinn knows she shouldn't be angry at her mom—she's doing what she must to sell the house—but still, Quinn is beyond mad, and she doesn't know what to do about it. Until now, Quinn was doing a pretty good job at pretending to be her old self—calm and brilliant Avery daughter, responsible big sister to Allison and Phoebe, piano virtuoso, girl who makes everyone proud—but without the sanctuary of her room, a new, wild Quinn is emerging. Lying, sneaking out, partying, Quinn is practically asking to get caught. When Quinn adds kissing the wrong boys—including her sister's boyfriend and her own piano teacher—to her list of crimes, has she gone too far to save herself? Something Borrowed meets Must Love Dogs in this big- hearted debut about friendship, love, and a German Shepherd named Joe. Savannah "Van" Leone has been in love with Peter Clarke ever since she literally fell head over heels in front of him on the first day of college. Now, six years later, instead of standing across from him at the altar, Van's standing behind her best friend Janie as maid of honor, trying to mask her heartache and guilt as Janie marries the only man Van's ever loved. 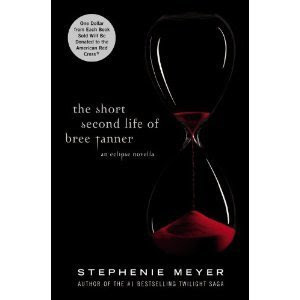 Before, Van's mother died, she told Van never to let Peter go, but as the couple exchanges vows, Van wonders if her fairy tale ending will ever come true. After the wedding, Van drowns her sorrows in Kool-Aid-vodka cocktails and reruns of Rin Tin Tin, and does what any heartbroken woman in her situation would do: She impulsively buys a German Shepherd over the Internet. The pocket-size puppy Van is expecting turns out to be a clumsy, hundred-pound beast who only responds to commands in Slovak, and Van is at the end of her rope... until she realizes that this quirky giant may be the only living being who will always be loyal to her, no matter what. Van affectionately names her dog Joe, and together, they work to mend the pieces of Van's shattered heart. And it certainly doesn't hurt that Joe's vet is a rugged sweetheart with floppy blond hair and a winning smile. 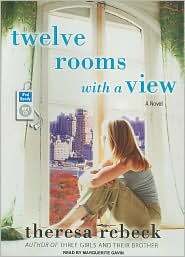 But when the newlyweds return from their honeymoon, Van is forced to decide just how much she's willing to sacrifice in order to have everything she ever wanted, proving that sometimes life needs to get more complicated before it can get better. Warm and witty, poignant and funny, Stay is an unforgettable debut that illuminates the boundlessness of love and marks the arrival of an irresistible new voice. 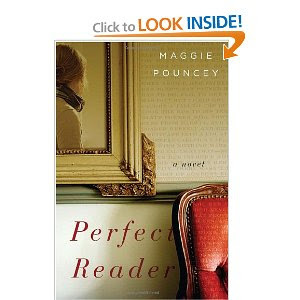 In this enchanting debut novel, Maggie Pouncey brings to life the unforgettable Flora Dempsey, the headstrong and quick-witted only child of Lewis Dempsey, a beloved former college president and famous literary critic in the league of Harold Bloom. 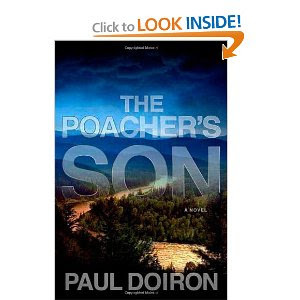 At the news of her father’s death, Flora quits her big-city magazine job and returns to Darwin, the quaint New England town where she grew up, to retreat into the house he has left her, filled as it is with reminders of him. Even weightier is her appointment as her father’s literary executor. It seems he was secretly writing poems at the end of his life—love poems to a girlfriend Flora didn’t know he had. Flora soon discovers that this woman has her own claims on Lewis’s poetry and his memory, and in the righteousness of her loss and bafflement at her father’s secrets—his life so richly separate from her own in ways she never guessed—Flora is highly suspicious of her. Meanwhile, Flora is besieged by well-wishers and literary bloggers alike as she tries to figure out how to navigate it all: the fate of the poems, the girlfriend who wants a place in her life, her memories of her parents’ divorce, and her own uncertain future. At once comic and profound, Perfect Reader is a heady, uplifting story of loneliness and of the spur to growth that grief can be. 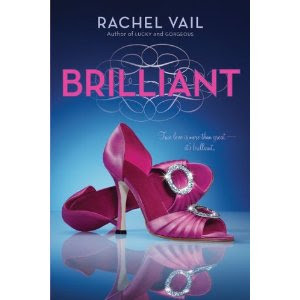 Brimming with energy and with the elbow-patchy wisdom of her still-vivid father, Flora’s story will set her free to be the “perfect reader” not just of her father’s life but of her own as well. 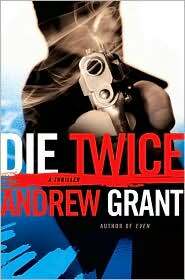 In his gritty, action-packed debut, Even, Andrew Grant introduced readers to David Trevellyan, a James Bond for the twentyfirst century. Now, Trevellyan returns in Grant’s latest, a fastpaced, modern thriller fueled by adrenaline and revenge. Obliged to leave New York City in the aftermath of his previous mission, David Trevellyan is summoned to the British Consulate in Chicago. To the same office where, just a week before, his new handler was attacked and shot by a Royal Navy Intelligence operative gone bad. Assigned the job of finding the rogue agent and putting an end to his treacherous scheme, Trevellyan soon finds that once again, his only hopes of saving countless innocent lives lie not within the system, but in his own instincts and skills. Trust is an illusion—trust the wrong person, and it could get you killed. 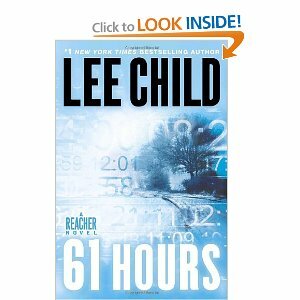 Drawing comparisons to Robert Ludlum, and his own brother, Lee Child, Andrew Grant’s remarkably seasoned voice cuts a new path through the crime thriller genre, continuing to test the limits in this groundbreaking new series. Now Tina is the proud owner of a huge luxury apartment overlooking Central Park. Things couldn't get much better, right? Wrong. Her half-brothers, left out of the inheritance, think that she has no right to the apartment, and they want her out—-by any means necessary. And what happens when Bernie Karp, the impressionable fifteen-year-old son of the couple in whose home the rabbi lies frozen, inadvertently thaws out the ancient man? 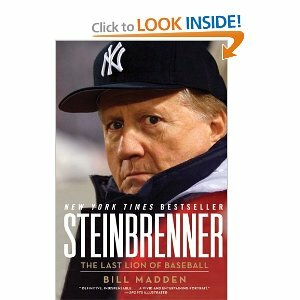 Such are the questions raised in this wickedly funny and ingenious novel by author Steve Stern, who, according to the Washington Post Book World, belongs in the company of such writers as Stanley Elkin, Cynthia Ozick, Michael Chabon, Mark Helprin, and Philip Roth, all of them "innovative and restless practitioners of contemporary American-Jewish fantasy." When the rabbi comes fully and mischievously to life, Bernie finds himself on an unexpected odyssey to understand his heritage (Jewish), his role in life (nebbish hero), and his destiny (to ensure the rabbi’s future). and the reader enters the lives of the people who struggled to transport the holy man’s block of ice, surviving pogroms, a transatlantic journey (in steerage, of course), an ice-house fire in Manhattan’s Lower East Side, and finally, a train trip to the city on the Mississippi. 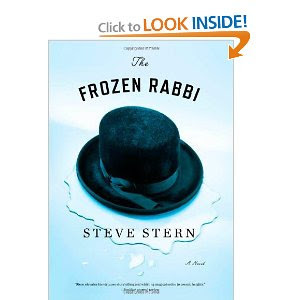 An epic novel in the spirit of Michael Chabon's The Amazing Adventures of Kavalier and Clay, Steve Stern's The Frozen Rabbi is a wildly entertaining yet deeply thoughtful look at the burdens inherent in handing down traditions from one generation to the next. This gifted and brilliantly imaginative author catapulted to bestsellerdom with the chilling Heart-Shaped Box and cemented his reputation with the prizewinning volume of short fiction 20th Century Ghosts. 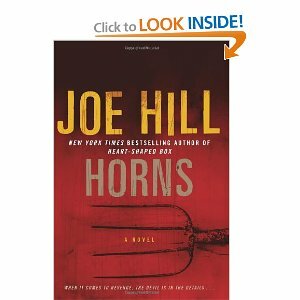 At last, the New York Times bestselling author returns with a relentless supernatural thriller that runs like Hell on wheels. . . . 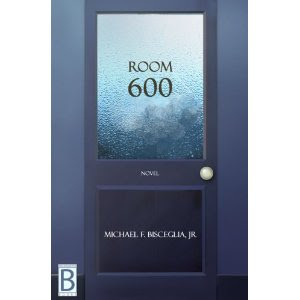 This fascinating novel explores a world rarely revealed: a public school classroom for middle-school students with diverse disabilities ranging from blindness to severe retardation. Lou, their caring teacher, goes the extra mile for "his kids," and in doing so helps the rest of the school learn that every student deserves respect and a chance to learn. Meanwhile, Lou's personal life takes a strange turn when he begins an unconventional affair with a fellow teacher. 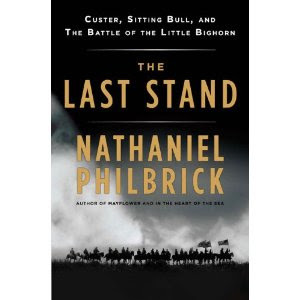 Beautifully written, uproariously funny and extremely moving. I have been telling some people that Lego Builders were meeting this coming Tuesday. I lied. It's this coming Wednesday, June 16th at 3:30. I'm very sorry for the confusion. This month's theme is "Summer"--make a beach, make a boat, make a kite... You'll have 50 minutes to build and 10 minutes to brag and get your picture taken. This is the last week of story times. Please take home your nametags and anything that has been left to dry! Friday morning, Marci will be filling in for me as I have an unexpected meeting. Ben Macintyre’s Agent Zigzag was hailed as “rollicking, spellbinding” (New York Times), “wildly improbable but entirely true” (Entertainment Weekly), and, quite simply, “the best book ever written” (Boston Globe). 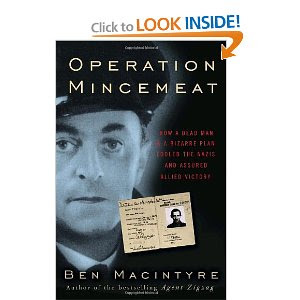 In his new book, Operation Mincemeat, he tells an extraordinary story that will delight his legions of fans.In 1943, from a windowless basement office in London, two brilliant intelligence officers conceived a plan that was both simple and complicated— Operation Mincemeat. The purpose? To deceive the Nazis into thinking that Allied forces were planning to attack southern Europe by way of Greece or Sardinia, rather than Sicily, as the Nazis had assumed, and the Allies ultimately chose. Charles Cholmondeley of MI5 and the British naval intelligence officer Ewen Montagu could not have been more different. Cholmondeley was a dreamer seeking adventure. Montagu was an aristocratic, detail-oriented barrister. But together they were the perfect team and created an ingenious plan: Get a corpse, equip it with secret (but false and misleading) papers concerning the invasion, then drop it off the coast of Spain where German spies would, they hoped, take the bait. The idea was approved by British intelligence officials, including Ian Fleming (creator of James Bond). Winston Churchill believed it might ring true to the Axis and help bring victory to the Allies.Filled with spies, double agents, rogues, fearless heroes, and one very important corpse, the story of Operation Mincemeat reads like an international thriller.Unveiling never-before-released material, Ben Macintyre brings the reader right into the minds of intelligence officers, their moles and spies, and the German Abwehr agents who suffered the “twin frailties of wishfulness and yesmanship.” He weaves together the eccentric personalities of Cholmondeley and Montagu and their near-impossible feats into a riveting adventure that not only saved thousands of lives but paved the way for a pivotal battle in Sicily and, ultimately, Allied success in the war. 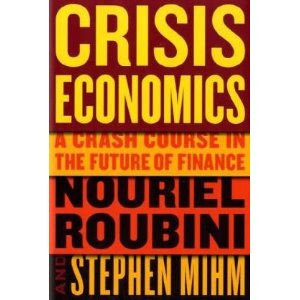 This myth shattering book reveals the methods Nouriel Roubini used to foretell the current crisis before other economists saw it coming and shows how those methods can help us make sense of the present and prepare for the future. Renowned economist Nouriel Roubini electrified his profession and the larger financial community by predicting the current crisis well in advance of anyone else. Unlike most in his profession who treat economic disasters as freakish once-in­a-lifetime events without clear cause, Roubini, after decades of careful research around the world, realized that they were both probable and predictable. Armed with an unconventional blend of historical analysis and global economics, Roubini has forced politicians, policy makers, investors, and market watchers to face a long-neglected truth: financial systems are inherently fragile and prone to collapse. Drawing on the parallels from many countries and centuries, Nouriel Roubini and Stephen Mihm, a professor of economic history and a New York Times Magazine writer, show that financial cataclysms are as old and as ubiquitous as capitalism itself. The last two decades alone have witnessed comparable crises in countries as diverse as Mexico, Thailand, Brazil, Pakistan, and Argentina. All of these crises-not to mention the more sweeping cataclysms such as the Great Depression-have much in common with the current downturn. Bringing lessons of earlier episodes to bear on our present predicament, Roubini and Mihm show how we can recognize and grapple with the inherent instability of the global financial system, understand its pressure points, learn from previous episodes of "irrational exuberance," pinpoint the course of global contagion, and plan for our immediate future. Perhaps most important, the authors-considering theories, statistics, and mathematical models with the skepticism that recent history warrants- explain how the world's economy can get out of the mess we're in, and stay out. In Roubini's shadow, economists and investors are increasingly realizing that they can no longer afford to consider crises the black swans of financial history. A vital and timeless book, Crisis Economics proves calamities to be not only predictable but also preventable and, with the right medicine, curable. Terry Jo Duperrault was 11 when her family was murdered at sea aboard a chartered sailboat off the coast of Florida. She jumped overboard just in time to escape. Surviving four days on a cork float in the middle of the ocean, Terry Jo’s rescue pictures graced LIFE Magazine soon after she was found. This is the first time Terry Jo, now known as Tere Duperrault Fassbender, has been able to fully tell her story. In September 1988 Oprah Winfrey reunited her with the freighter captain who saved her but, even then, she was not healed enough to reveal what it took to survive for four days adrift and alone at sea. 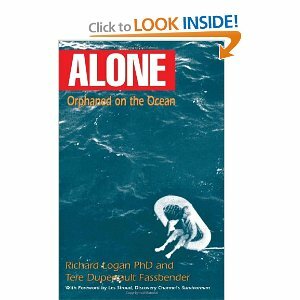 Co-authored by psychologist and survival expert Richard Logan, readers delve into the details of how a little girl survived the murder of her family; the gradual collapse of the small cork float she used to keep afloat while guarded by a small pod of whales; and the aftermath and the reclamation of life. ALONE is the ultimate inspirational tale of good. 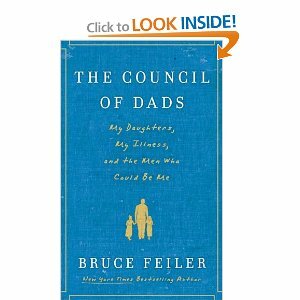 The Council of Dads is the inspiring story of what happened next. Feiler introduces the men in his Council and captures the life lesson he wants each to convey to his daughters--how to see, how to travel, how to question, how to dream. He mixes these with an intimate, highly personal chronicle of his experience battling cancer while raising young children, along with vivid portraits of his father, his two grandfathers, and various father figures in his life that explore the changing role of fathers in America. A compelling, often hilarious, and unfailingly compassionate portrait of life inside a women’s prison When Piper Kerman was sent to prison for a ten-year-old crime, she barely resembled the reckless young woman she’d been when, shortly after graduating Smith College, she’d committed the misdeeds that would eventually catch up with her.Happily ensconced in a New York City apartment, with a promising career and an attentive boyfriend, she was suddenly forced to reckon with the consequences of her very brief, very careless dalliance in the world of drug trafficking. Kerman spent thirteen months in prison, eleven of them at the infamous federal correctional facility in Danbury, Connecticut, where she met a surprising and varied community of women living under exceptional circumstances. 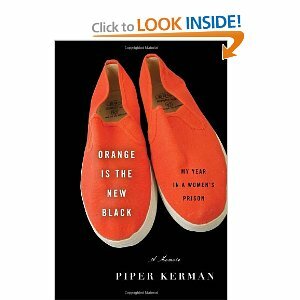 In Orange Is the New Black, Kerman tells the story of those long months locked up in a place with its own codes of behavior and arbitrary hierarchies, where a practical joke is as common as an unprovoked fight, and where the uneasy relationship between prisoner and jailer is constantly and unpredictably recalibrated. Revealing, moving, and enraging, Orange Is the New Black offers a unique perspective on the criminal justice system, the reasons we send so many people to prison, and what happens to them when they’re there. 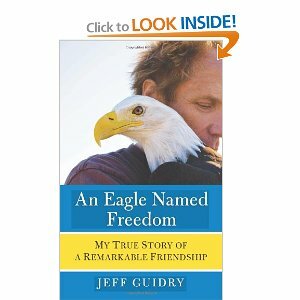 From the moment Jeff Guidry saw the emaciated baby eagle with broken wings, his life was changed. For weeks he and the staff at Sarvey Wildlife Care Center tended to the grievously injured bird. Miraculously, she recovered, and Jeff, a center volunteer, became her devoted caretaker. Though Freedom would never fly, she had Jeff as her wings. And after Jeff was diagnosed with stage 3 non-Hodgkin's lymphoma in 2000, Freedom returned his gift. Between sessions of debilitating chemotherapy, Jeff went back to Sarvey and began taking Freedom for walks that soothed his spirit and gave him the strength to fight. When he learned he was cancer free, Jeff's first stop was Sarvey to walk with Freedom. Somehow this special bird seemed to understand the significance of the day. For the very first time she wrapped both her wings around Jeff, enveloping him in an avian hug. When Freedom came in she could not stand. Both wings were broken, her left wing in 4 places. . . . We here at the Sarvey Wildlife Care Center made the decision to give her a chance at life. . . .
That e-mail would unexpectedly circle the globe and inspire countless fans eager to know more. In An Eagle Named Freedom, Jeff tells the full story of his bond with Freedom and introduces the other wildlife and volunteers who have been saved by Sarvey. 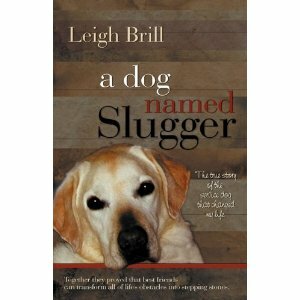 A tender tale of hope, love, trust, and life, this moving true story is an affirmation of the spiritual connection that humans and animals share. Manny’s James Beard Foundation Award–winning New York magazine cover story—the impetus for this project—began as an assessment of the locavore movement. We now think more about what we eat than ever before, buying organic for our health and local for the environment, often making those decisions into political statements in the process. 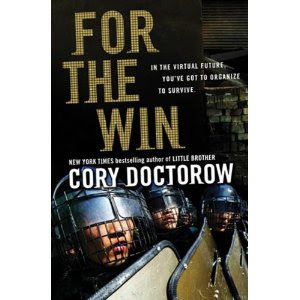 My Empire of Dirt is a ground-level examination—trenchant, touching, and outrageous—of the cultural reflex to control one of the most elemental aspects of our lives: feeding ourselves. 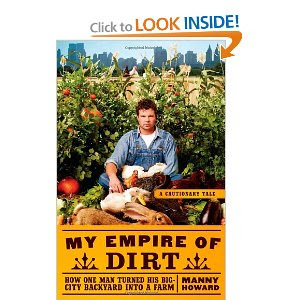 A chronicle of the experiment that took slow-food to the extreme, My Empire of Dirt tells the story of one man’s struggle against environmental, familial, and agricultural chaos, and in the process asks us to consider what it really takes (and what it really means) to produce our own food. It’s one thing to know the farmer, it turns out—it’s another thing entirely to be the farmer. For most of us, farming is about food. For the farmer, and his family, it’s about work. We Are Not Alone boldly argues that extraterrestrial life is astrobiological fact. Far from existing light-years away in the outer reaches of space, it's on our very doorstep. For persuasive evidence of microbial life, we need look no further than our celestial neighbour, Mars. Expertly probing the latest scientific research, this fascinating book provides compelling reasons to believe that extraterrestrial life is rife both in the Solar System and beyond. Are we alone in the universe? This is surely one of the biggest questions of human existence, yet it remains frustratingly unanswered. 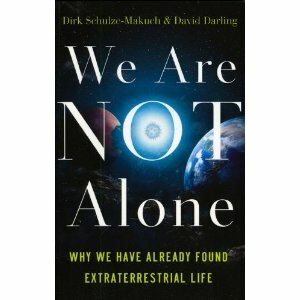 In this provocative book, one of the world's leading scientists explains why the search for intelligent life beyond Earth should be expanded, and how it can be done. Fifty years ago, a young astronomer named Frank Drake first pointed a radio telescope at nearby stars in the hope of picking up a signal from an alien civilization. Thus began one of the boldest scientific projects in history, the Search for Extraterrestrial Intelligence (SETI). After a half-century of scanning the skies, however, astronomers have little to report but an eerie silence--eerie because many scientists are convinced that the universe is teeming with life. Could it be, wonders physicist and astrobiologist Paul Davies, that we've been looking in the wrong place, at the wrong time, and in the wrong way? Davies has been closely involved with SETI for three decades, and chairs the SETI Post-Detection Taskgroup, charged with deciding what to do if we're suddenly confronted with evidence of alien intelligence. He believes the search so far has fallen into an anthropocentric trap--assuming that an alien species will look, think, and behave much like us. In this mind-expanding book he refocuses the search, challenging existing ideas of what form an alien intelligence might take, how it might try to communicate with us, and how we should respond if it does. 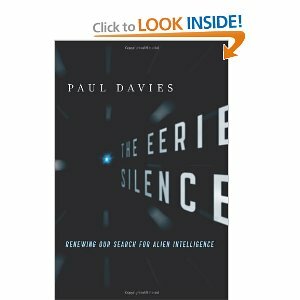 The Eerie Silence provides a penetrating assessment of the evidence, past and present, and an exciting new road map for the future. 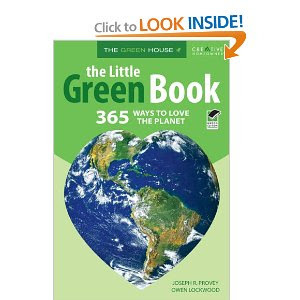 The Little Green Book: 365 Ways to Love the Planet is a "green" guidebook for anyone who want to improve the quality of their life and the life of the planet. 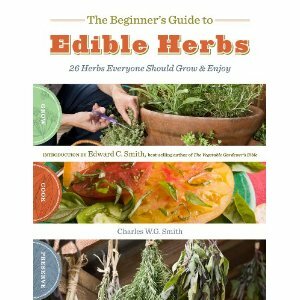 Consisting of a year's worth of short tips, tasks, and facts, the book is designed to lead readers to a more healthy, environmentally friendly lifestyle. The information is nontechnical in nature and designed to appeal to the average reader. The book will cover a wide range of topics, including gardening, saving natural resources, saving the environment, going "green" at work, community activism, and the like. 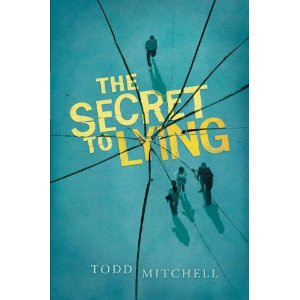 Now in paperback, the New York Times bestseller--featuring a powerful program that shows you how to reclaim your life one week at a time.Cheryl Richardson, the bestselling author of Take Time for Your Life, known to millions for her "Lifestyle Makeover" series on "The Oprah Winfrey Show," recognizes firsthand how tough it can be to juggle the daily demands of living in a fast-paced world, and how easily you can become disconnected from your true self and what makes you happy. In Life Makeovers, she has taken all the know-how and insight she has gleaned from her years as a personal coach and distilled it into a simple, year-long program that shows how making small changes, over time, can have a huge impact on the quality of your life. In fifty-two simple yet profound essays, Richardson provides a plan for both reflecting and taking action, along with specific, practical advice and exercises to help readers gradually and permanently remodel their lives, week by week. 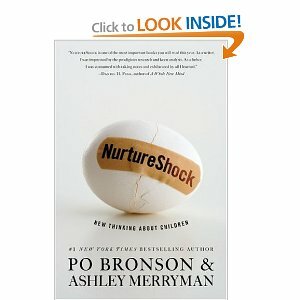 Easy to use and fun to read, this workbook is the perfect companion to Take Time for Your Life. Topics include:*The Gift of Time: It's Self-Management, Not Time Management*Are We Having Fun Yet: When Life Gets Too Serious, Here's What to Do*Give Your Brain a Vacation: For Finding the Best Ideas, Try This*Standing in the Shadow: Whose Talent Are You Hiding Behind? *Stop Juggling and Start Living: Here Are Some of the Balls to Drop*Close Encounters: How to Make a Deeper Connection with OthersHer brief, personal essays will inspire you to make changes, and her Take Action Challenges, which appear with comprehensive resource sections at the end of every essay, will guide you through small steps that will teach you to think, act, love, work, and even laugh in a whole new way. 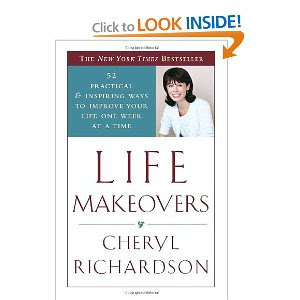 Written in Richardson's signature, heartwarming style, Life Makeovers is the ideal book for anyone looking for a balanced way to stop dreaming about a better life and start living one.